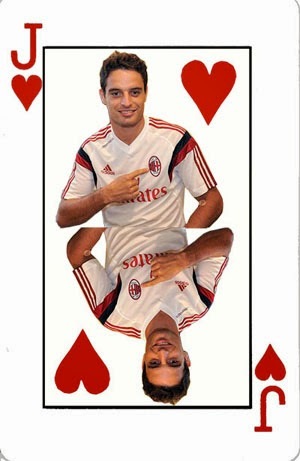 It may or may not interest you to know that Bonaventura comes to us from Atalanta. You know the club that really launched Inzaghi’s career? He made his first appearance with the first team at the age of 17. After making only one more appearance for the first team over the next six months or so, he was loaned out to Pergocrema for six months. There he scored on his debut, yet only made 3 more appearances before returning to Atalanta. After another singular appearance with the team, he was once again loaned out for six months, this time to Serie B side Padova, where he made 15 appearances. 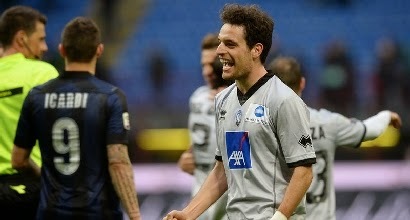 He once again returned to Atalanta and actually signed a contract extension until 2015. He also scored his first goal for the club, and Atalanta won Serie B that season and thus earned promotion back to Serie A. (See what I mean about him being a good luck Jack?) He went on to make a total of 104 appearances for the club in all and scored a total of 17 goals in all competitions. But here’s where he earns a place in Milan fans’ hearts: of his 14 goals in Serie A, 4 of them were against Inter. That’s right, his luck is Inter’s liability. Which is perfect that he now plays for Milan. But it gets better. On the very last day of the transfer window this summer, with about three hours left, Bonaventura was traveling to “another Milan club.” Mian’s deal with Biabiany had fallen through (thanks, Zaccardo.) So Milan thought about signing Bonaventura. Galliani called Atalanta, whose director immediately contacted Bonaventura and told him to go meet with Galliani instead. So he did. Left Inter hanging high and dry and chose the right side of Milan. The story is epic. But most endearing was that he chose Milan. He could have continued to Inter, but he chose Milan. And when he went to sign the contract with Galliani, he wept tears of joy. I like to believe it was because we saved his soul. But he says he had been waiting a long time to join a club like Milan, and that signing the contract was a dream come true. And you know what? He didn’t lie and claim to be a lifelong Milanista. He simply made the choice and has dedicated himself to the red and black, working hard and showing a great attitude so far. I like that even more. He says that he is an offensive midfielder, but that he can play in a midfield three or even as a winger. The kind of versatility Allegri dreamed of, the kind of versatility Inzaghi’s squad needs. With so many players with similar characteristics, it’s good to have someone who can function at multiple spots. Especially if they like to score against Inter. Many have vouched for his talent, and at 25 years old, he is at the perfect point in his career to come to Milan and peak, if he is going to. Under the guidance of Inzaghi, he could really surprise and develop into an excellent player, and his stars seem all aligned to do just that. But his rejection of Inter and also with Inter being his favorite target… those things have endeared the fans to him already. Not only does he seem to be quite lucky, he has already become the Jack of our hearts. Benvenuto, Jack. This post inspired by the music of The Cocteau Twins "Heaven or Las Vegas"